Bill Kaulitz is a German singer-songwriter, voice artist, model, and designer. Check out this biography to know about his birthday, childhood, family life, achievements and fun facts about him. Bill Kaulitz is a German singer-songwriter, voice artist, model, and designer. He is best known as the lead singer of the band, Tokio Hotel, in which he performs alongside his guitarist brother Tom, bassist Georg Listing and drummer Gustav Schäfer. The group has released four studio albums, five video albums, one EP, one compilation album, two live albums, seventeen singles and 21 music videos till date. Bill Kaulitz is also a solo performer who never fails to impress his audience with his unique voice and impeccable song-writing skills. Born in Leipzig, German Democratic Republic, he developed an inclination towards music at a young age. His step-father, a musician by profession, noticed his inclinations and helped him and his twin brother set up their own band. Bill Kaulitz began performing at the age of ten, beginning with small shows and eventually becoming a part of many bands. 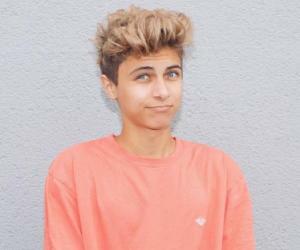 Today, the German singer has established himself as a popular performer in the nation’s music scene. A hard-core vegetarian, Kaulitz is a strong supporter of PETA and frequently appears in their campaigns. 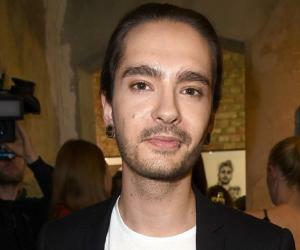 Bill Kaulitz and his brother Tom began performing live in Magdeburg at the age of ten. Two years later, they formed the band "Devilish" alongside Georg Listing and Gustav Schäfer. The group didn’t earn much recognition until 2005. They then signed a contract with Interscope Records, following which their career took off. Kaulitz and his group began performing under the name Tokio Hotel. They released their debut album ‘Schrei’ ("Scream") which featured the single "Durch den Monsun" (English title–“Through the Monsoon"). The song charted at #1 in Germany within a month of release. In 2006, Bill Kaulitz lent his voice to the role of Arthur for the German version of the flick ‘Arthur and the Invisibles’. The following year, he and his band mates released their second studio album ‘Zimmer 483’, The album featured the singles "Übers Ende der Welt", "Spring nicht", "An deiner Seite (Ich bin da)" and "Heilig". As Tokio Hotel's fan following grew in the western part of the world, the band decided to re-record some songs from their albums ‘Zimmer 483’ and ‘Schrei’ for a new English-language album. The result was their debut English album ‘Scream’ (2007). Soon the group embarked on their USA tour and later moved back to Europe for their ‘1000 Hotels Tour’ which commenced in March 2008. That year, he also got his wax statue unveiled at the Madame Tussauds museum. In May 2012, Kaulitz got featured on the track "If I Die Tomorrow" for Far East Movement’s album ‘Dirty Bass.’ Two years later, he and his Tokio Hotel members released their fifth studio album titled ‘Kings of Suburbia’. In the year 2016, Kaulitz released his solo project, an EP titled ‘I'm Not OK,’ under the moniker "Billy". A year later, his group released the studio album ‘Dream Machine’ as well as the EP ‘Boy Don't Cry’. 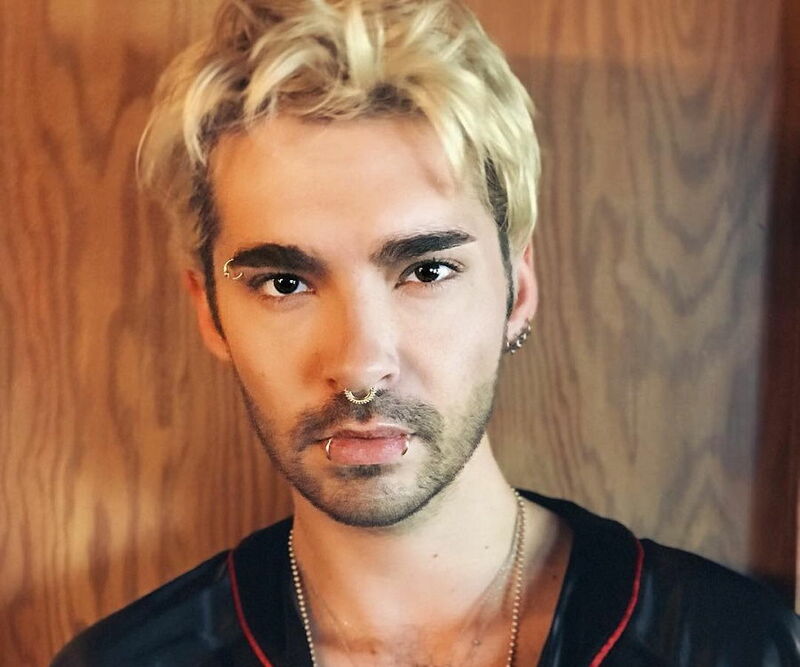 Bill Kaulitz was born on September 1, 1989 in Leipzig, East Germany, to Simone Kaulitz, a freelance tailor, and Jörg W. His parents later separated, following which his mother went on to marry Gordon Trümper, the guitarist of the rock band Fatun. Bill has an identical twin brother named Tom, who is elder by ten minutes. Tom is a guitarist and plays in his brother’s band, Tokio Hotel, alongside two other members. In November 2014, Bill Kaulitz blogged about love and sexuality. He wrote: "Maybe I'm just about to meet someone who changes my life forever and, if that happens, does it really matter what gender they are?"